The other day I was asked what camera is used to make my videos. At that very moment I thought to myself, "This would be a good post for my blog/website". I'd like to share as much as possible with my audience and any information I have that might be able to help someone else grow. No holding back the wealth over here. There's room at the top for all of us! With that being said, the camera that's been used for most of the videos you see from me is the Canon Rebel T2i. The lenses used can vary but the camera remains the same. 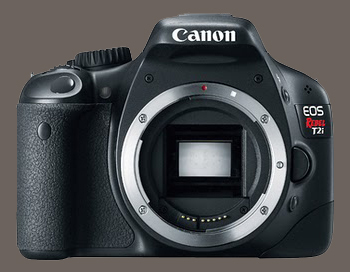 From what I understand, the T2i uses the same video sensor as the slightly more expensive Canon 7D. However, the 7D is said to take better pictures. (For the newbies: The lens you use can make a world of difference. Get a good lens if it's within your budget). All video editing is done in Adobe Premiere and After Effects. Most of the color correction is assisted with the use of Red Giants software Magic Bullet Looks. The first time I saw MBL in action I was amazed by how well it can take the footage you shot and instantly manipulate it to look totally different (and often times better). Most of the time we use a MBL preset as a starting point and then make further adjustments (to our liking). Lastly I 'd like to say that my team and I are not video or editing experts by any means. Not even close! A lot of what we do is based on trial and error. One day we woke up and decided to jump in the deep end. We wanted to start making moves and instead of waiting for a label or someone to lend us a helping hand...we decided to help ourselves. Over the past 2 years we've shot 5 videos and we've progressively gotten better with each one. Wherever you are I hope the information above will inspire you to dream B.I.G. and be proactive! If me and my homies can do it...so can you!